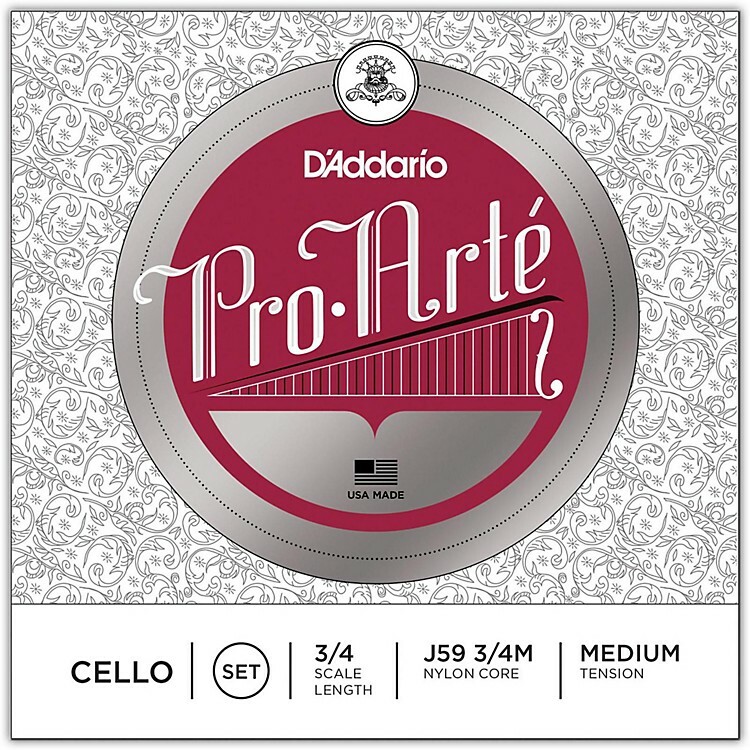 Pro-Arte synthetic core cello strings have a warm, mellow tone, are less sensitive to humidity and temperature changes, and break in quickly. Pro-Arte strings are manufactured at a lower tension in order to maximize bow response, tonal blend and playability. Pro-Arte is a perfect choice for players seeking a warm, dark tone. Scaled to fit 4/4 size down to ¼ size these, medium tension strings are optimized to the needs of a majority of players.